Designer Joey Roth was inspired by his musician and artist friends for creating these ceramic speakers that offer a crisp and polished sound. Aside from the electrical components, this product is plastic-free: ceramic, cork and birch do the job. 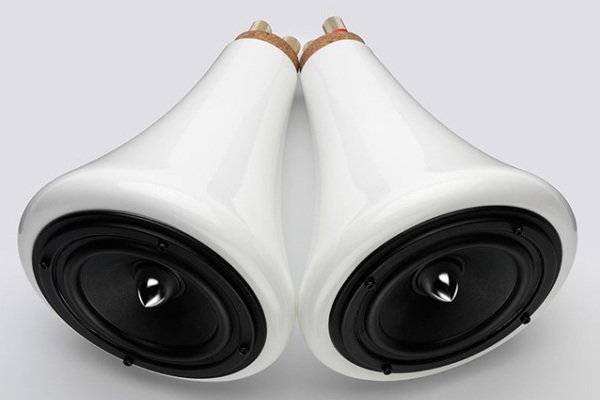 A stainless steel amplifier is included and a ceramic subwoofer can be added to the speakers. You can plug them right into your iPod or any digital player for a stylish and minimalist sound system. They work just as well hooked up to your computer or your television set. And if you are nostalgic, plug them into a turntable! Price: $1,095 for the set.